Every child of God has been made a partaker of the divine nature by new birth. This new divine nature implanted in the believer is a sovereign act of God by His Spirit through the Word. 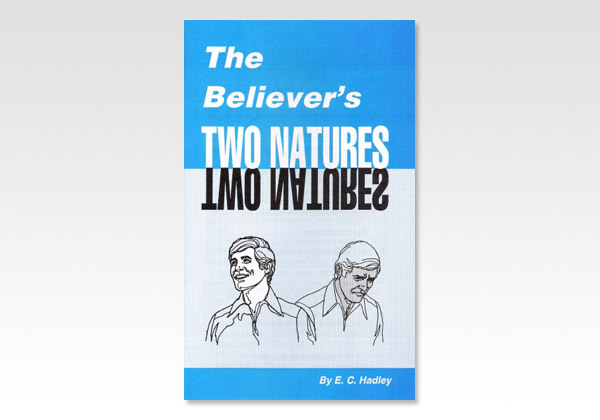 So the believer has the same nature in him as is in God. Just as he partook of the fallen nature by natural birth, so in the new birth he partakes of God's nature.  "That which is born of the flesh is flesh (the nature we have by natural birth); and that which is born of the Spirit is spirit (the nature we have by new birth). Do not marvel that I said to you, 'You must be born again'" (Jn. 3:6-7).  "Of His own will He brought us forth by the word of truth, that we might be a kind of firstfruits of his creatures" (Jas. 1:18).  "Having been born again, not of corruptible seed but incorruptible, through the word of God which lives and abides forever" (1 Pet. 1:23).  "By which have been given to us exceedingly great and precious promises, that through these you may be partakers of the divine nature" (2 Pet. 1:4). When we are born again, we become partakers of a new, divine nature - one that loves God and hates sin. But what happens to our old, sinful nature? This very important question is answered by looking at two case studies relating to the assurance of our salvation, and by explaining the power needed for victory over sin.